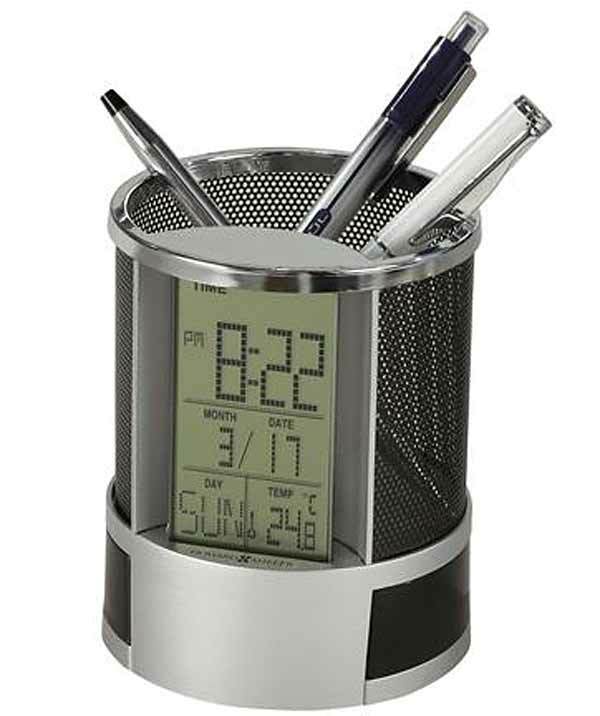 This silver-finished LCD alarm clock incorporates a handy black mesh pencil cup accented with a polished silver-finished top trim. Black side storage compartments swing out with the press of a button to hold paper clips or other small desk essentials. 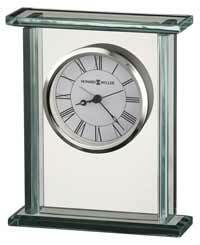 Includes a calendar with month, date, and day of the week, as well as display of indoor temperature in degrees F or C. The clock offers a selectable 12 or 24-hour time format and a countdown timer. Alarm clock has choice of 7 melodies or 2 beep alarms, and includes a snooze feature. A special birthday reminder alarm can also be programmed. Four foam pads on the bottom protect your desktop. Quartz, battery-operated alarm movement includes two LR44 watch batteries. One year warranty and Shipping is only $4.95 on this selection. 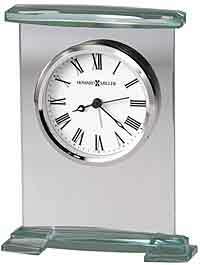 Clocks for sale at The Clock Depot including the 645-759 at discount prices.